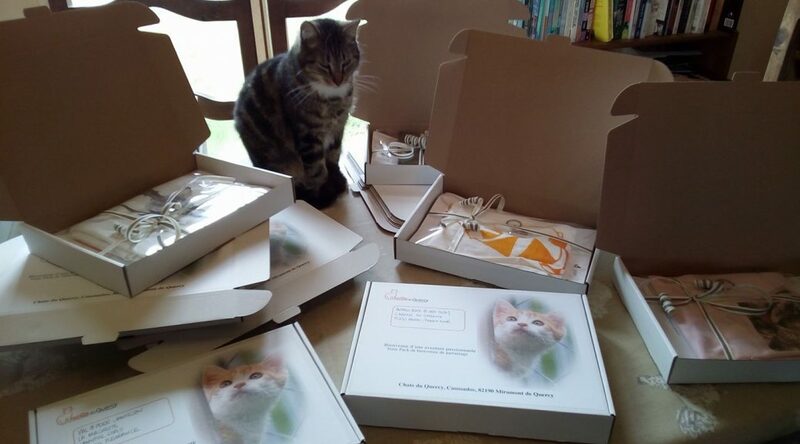 A wonderful way of supporting Chats du Quercy cats is to sponsor one of our cat enclosures. At Chats du Quercy we provide cosy, hospitable and secure surroundings for every cat that passes through our doors. 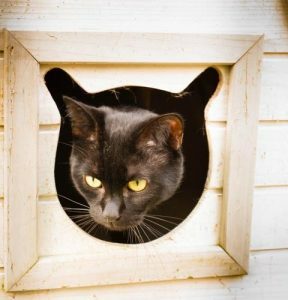 Why sponsor a cat enclosure? Sponsoring a cat enclosure is one of the best ways you can help some of the many homeless and unwanted cats who come into our care. Your patronage will go towards providing them with the shelter, warmth, food, medical care and love they need. If you are unable to have a cat yourself, or indeed any more cats, then sponsorship is the ideal way to help cats in need and also have more felines in your life! 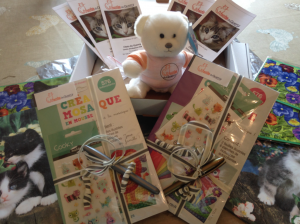 You can also gift a sponsorship to someone else -the perfect present for any cat-lover. Will I be sponsoring one particular cat? You’ll actually be helping lots. 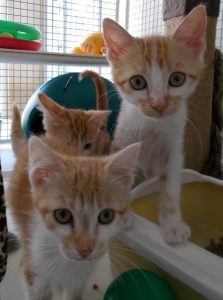 As a Chats du Quercy sponsor you’ll be able to choose a pen at our adoption centre and we’ll keep you updated about the cats who are your current residents. We’ll tell you when your cats find their forever homes and about the new cats in need who will take their places. What does my sponsorship go towards? Health: Each cat in our care is given a thorough veterinary check that includes blood tests, microchipping, vaccinations and neutering. Comfort: A cosy, heated cat pen full of soft bedding, hidey-holes and toys. There’s an outside cat park too, full of interesting things to climb, scratch and investigate. Nutrition: Top quality meals every day and food for special diets. 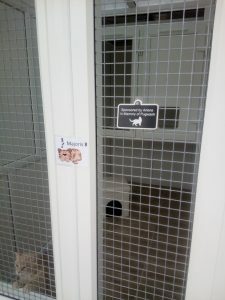 Each cat that we welcome into our adoption centre costs us an average of 350€ and our monthly expenditure is 9,500€. Your contribution really does make an enormous difference and allows us to help more cats. What are the enclosures like? Each pen provides a positive, welcoming and safe environment for the cats to live and play. There are different levels that allow each cat to find its own space, although many prefer to snuggle up with their pen-mates! The enclosures are spacious, they contain comfy, heated beds and are filled with toys and scratching posts. The pen design allows our cat-cuddlers easy access in order to interact with the cats, give them their meals and change their litter trays. From as little as €5 per month. 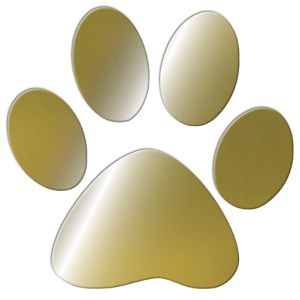 We offer three levels of sponsorship: Silver, Gold and Platinum. An annual Silver sponsorship costs just €60 (or €5/month for a year). 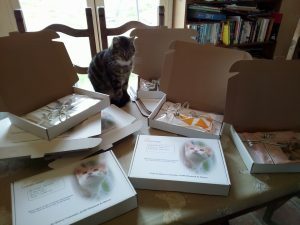 Every one of our valued sponsors receives a welcome pack, regular news about the cats in the enclosure they have chosen, VIP visits to meet the cats and more. If you wish to sponsor a pen as a present for someone else then just let us know and we will include a hand-written gift card. -Opportunity to renew after 12 months or either have plaque archived or sent as a souvenir. -Permanent high-quality plaque at the centre with choice of wording. Your Welcome Pack will be posted to your address as soon as we receive your payment (or your first payment if paying per month). -A certificate of sponsorship-A welcome gift, for example a T-shirt or a keyring depending on availability. …….. a colour print-out with photographs of the cat or cats who are currently residing in your pen so you can start to get to know them. We are pleased to offer a new children’s sponsorship package that works in the same way as our existing scheme, but the welcome pack and updates from the pen will be adapted to the age of the child or teenager. They will also receive birthday and Christmas presents from ‘their’ cats. The Silver sponsorship is €60 per year and the Gold sponsorship is €120 and includes a personalised plaque on the door of the pen. When can I start sponsoring an enclosure? Payment can be made via the Paypal button on our home page, by bank transfer or by cheque. Chats du Quercy is a nonprofit association “Reconnue d’interet gereral” which means that 66% of the amount you give is tax deductible on your French taxes! Just ask us for a receipt.